Sarah Tam is the Chief Merchant Officer at Rent the Runway, where she oversees the brand’s 550+ designer partnerships, as well as the company’s merchandising, buying and inventory planning teams. 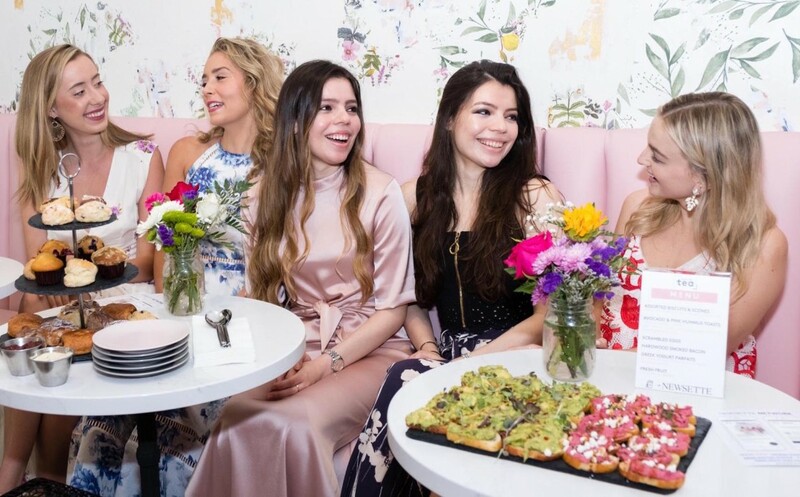 Sarah’s newest developments include expanding Rent the Runway’s maternity style offerings, as well as using data and customer feedback to further transform the fashion landscape. Wondering which items this busy fashion boss swears by when she travels? Find out below. I travel about 12 weeks out of the year, with the most-visited cities being Paris, Milan and Los Angeles. I am very attached to my Mansur Gavriel Leather Holdall Bag. It is the perfect size and structure to hold all my essentials such as a large water bottle, blanket and travel pillow. There is an optional shoulder strap for when you need it. In addition, there is an inside pocket to slip your passport into for easy access and concealed zipper compartments on each side so you can house different currencies within each one. Saved NY Blanket. Planes are always chilly and the blankets provided are not what I would want to cozy up with. Saved NY throws can double as a scarf and are made with soft luxurious materials like cashmere or camel hair. Made by hand in Mongolia, this throw makes me feel warmer and more relaxed when wrapped around me on the flight. Infinity Pillow by Huzi. This soft plush pillow is a jack of all trades. It can be twisted into any shape and used for many purposes. I have used it to cover my ears, wrapped it around my neck and scrunched it into a pillow under my head. Bose Quiet quiet control earbuds. I always watch a few movies on the flight. These have amazing sound, are very compact, sit comfortably in my ears and block out any distracting noises if I take a snooze. Lucas’ Paw Paw Ointment. The dry air on planes makes my sensitive lips chap almost immediately. I have tried every lip balm on the planet and it was my Aussie friend that introduced me to this one that has changed the state of my lips. MoMA MUJI portable cup, toothbrush, and toothpaste. The clever design is genius and compact to have all your dental hygiene needs in a sleek portable case. HerbivoreRose Hibiscus Hydrating Face Mist. The stale air on planes can make your skin look dull. This face mist helps restore a surge of moisture and gives skin a dewy look. Wet Ones Antibacterial Wipes. Planes can be a haven for germs. I always keep these wipes handy to swipe on armrests, video screens, remotes, and trays prior to touching. Anker PowerCore 20100. This portable charger truly delivers in many ways. It can charge two devices at the same time, thus keeping my phone and tablet fully charged. Also, the charging time is extremely speedy–giving me a full charge in less than 2 hours. Emergency Outfit. I always keep an outfit handy just in case my luggage does not arrive at the same time or in the same city as I do. This has happened to me on a few occasions and I am so grateful to be able to have something else to wear besides my airplane clothes.